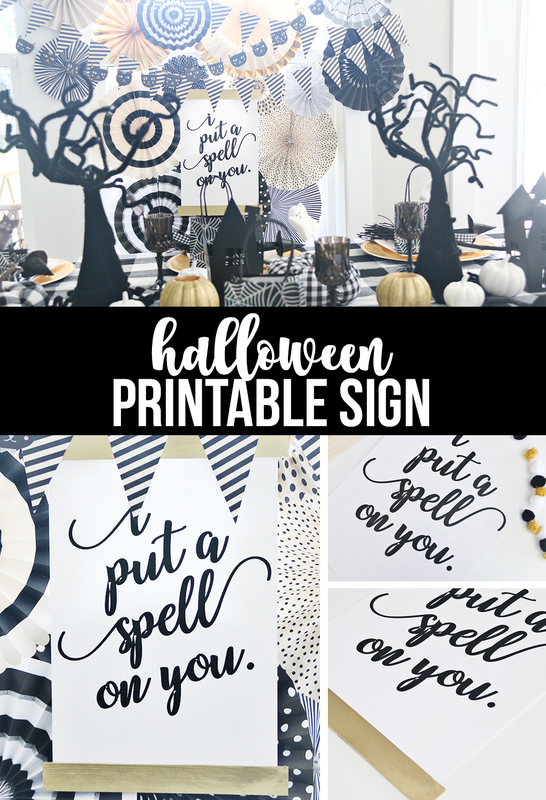 What’s black and white and cute all over?! 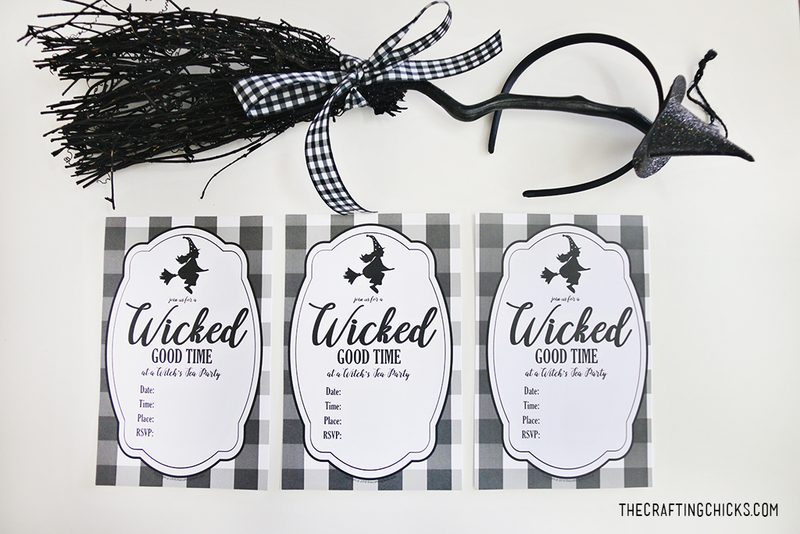 Our FREE PRINTABLE Witch Tea Party Invite! 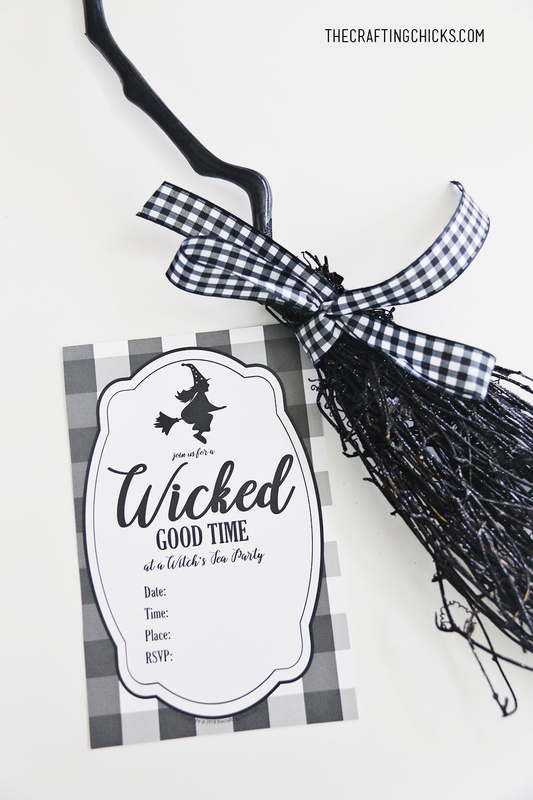 We loved creating this adorable invite for our readers to host their own Witch Tea Party. 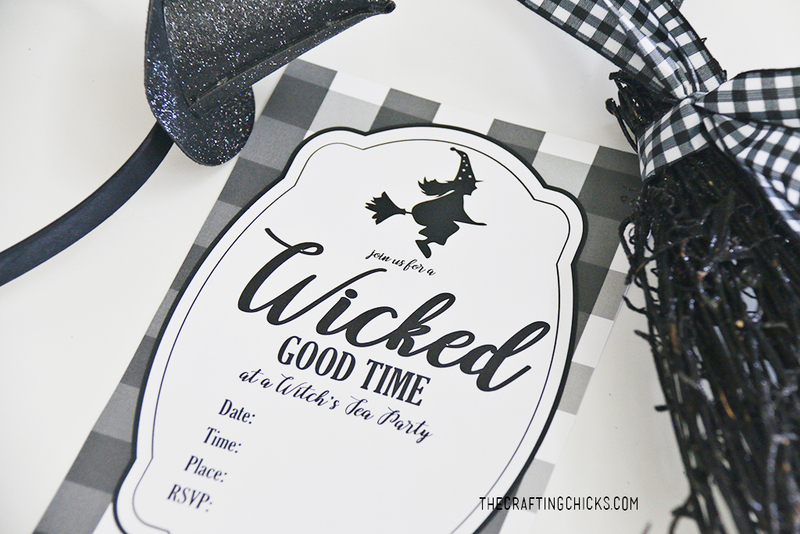 The Chicks loved creating a Black, White and GOLD Witch tea party with pops of black and white buffalo plaid. 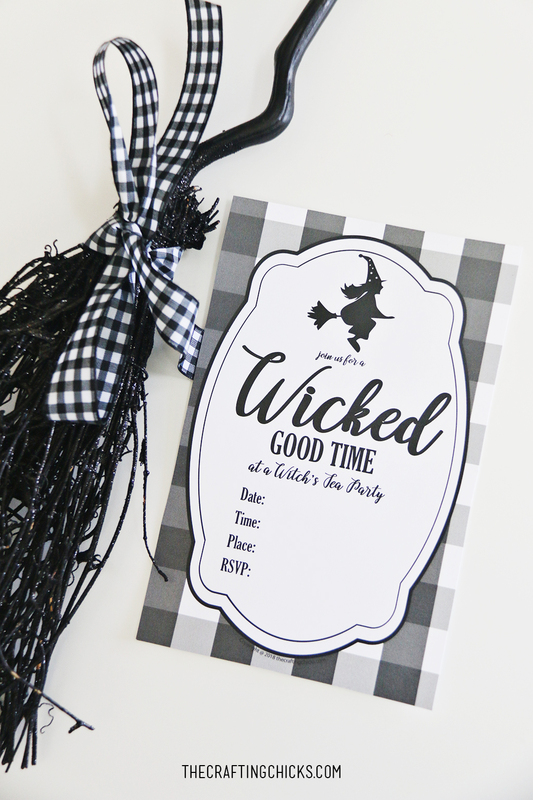 This invite is the perfect mix of fancy and cute. 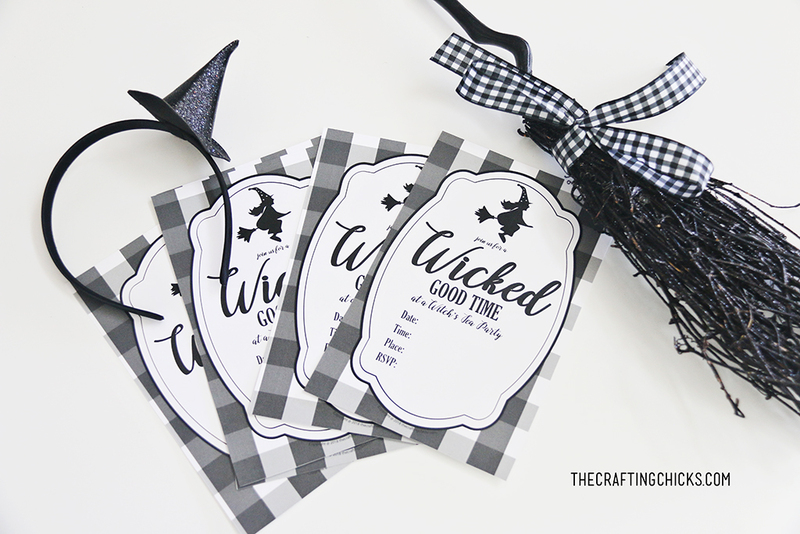 You can download the free printable Witch Tea Party invite below. 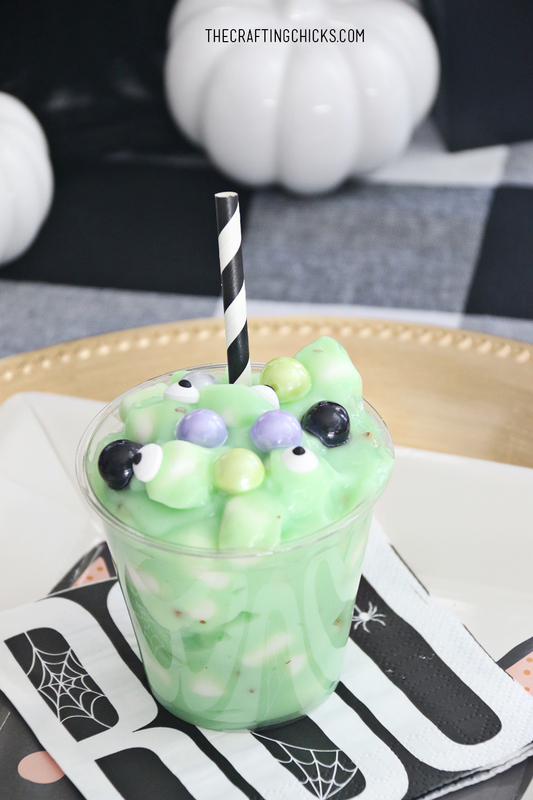 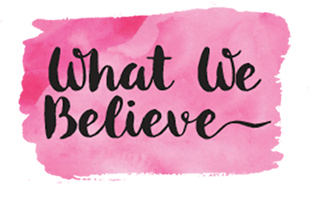 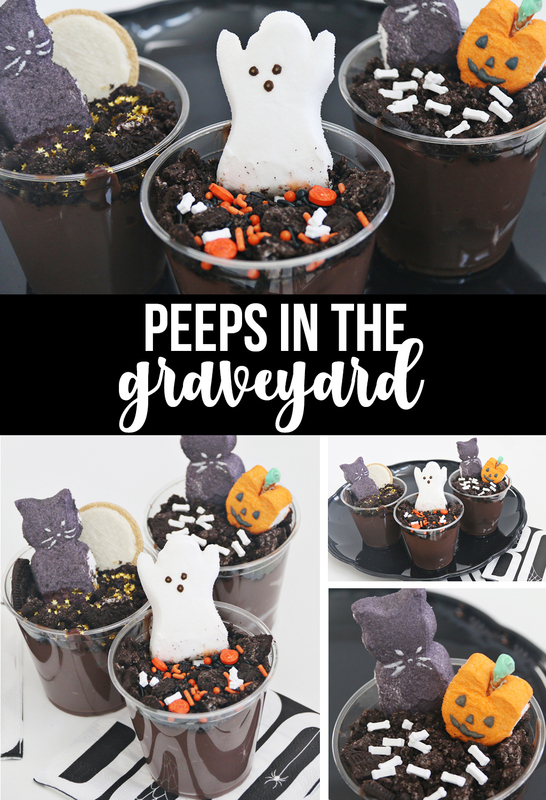 Check out all of the Witch Tea Party Goodness!